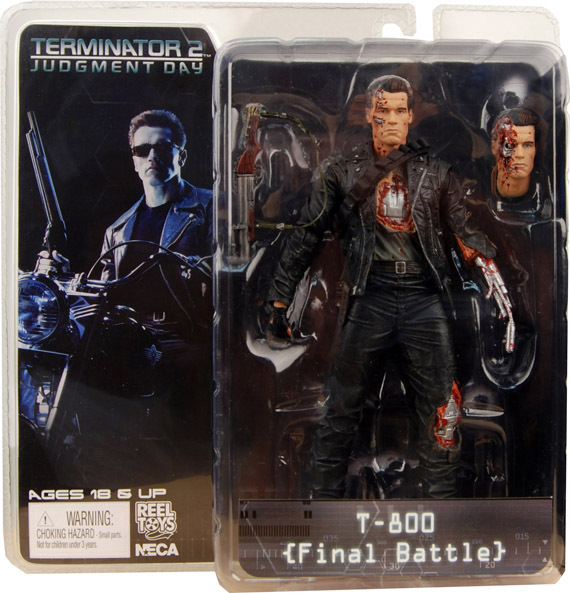 Terminator 2: Judgment Day Giveaway – T-800 & T-1000 Action Figures! We hope you enjoyed last week’s very special Nightmare Before Christmas Trading Card and Lithograph Giveaway! 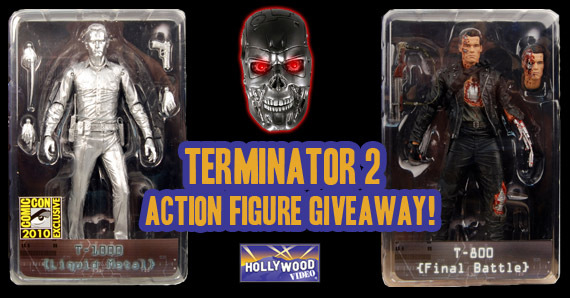 This week we’re ramping up the action with our Terminator 2: Judgment Day action figure giveaway! It’s the iconic clash of an obsolete, well intentioned killing machine versus the superior, next-generation assassin sent back in time to ensure humanity’s imminent day of judgement. Keep reading to see how you can win! 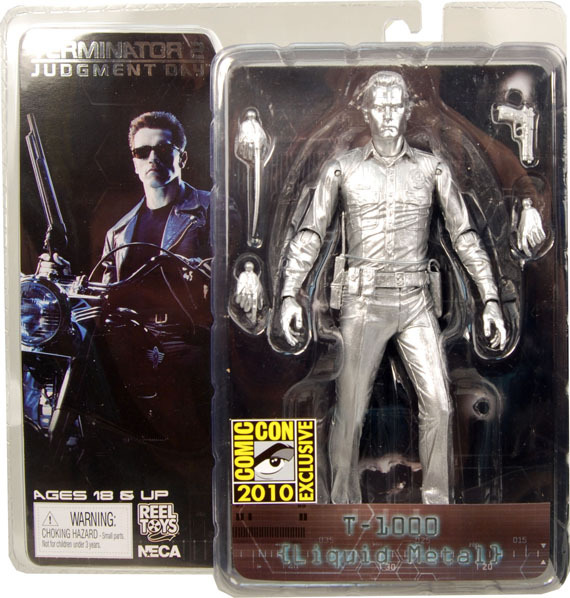 From Terminator 2: Judgment Day comes this San Diego Comic Con Exclusive T-1000 7″ action figure in liquid metal version. A more advanced Terminator, composed of mimetic polyalloy, a liquid metal that allows it to take the shape and appearance of anyone or anything it touches. In addition to rapid shapeshifting, the T-1000 displays near-perfect mimicry and rapid recovery from damage. This highly articulated figure includes his metallic pistol and interchangeable hands – including one with an elongated metal finger as seen in the film. Not even a CGI Robert Patrick can stop the mighty T-800! Here’s The Terminator as he appeared in the epic final battle of T2! You better believe that when a guy willing to rip his own arm off says he’ll be back, he means it. This imposing 7″ action figure has an interchangeable head and comes with a grenade launcher accessory. This entry was posted in Giveaways, The HV Blog and tagged arnold scharzenegger, terminator 2, terminator action figures by hvadmin. Bookmark the permalink.